OnCue has a unique feature that will show where there is extra dead space in your designation clip. 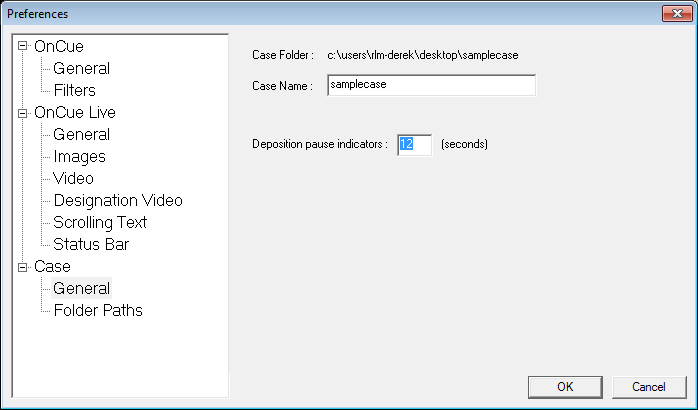 We refer to this as “Pause Detection.” You can set the threshold (in seconds) under the Edit-Preferences-Cases-General menu. OnCue will indicate the pause in the Transcripts Pane by the hourglass icon to the left of the transcript text. You can also see that a pause is detected in the Designation List by a yellow bar above the red tuning icon in the Designation List. You can then preview the video from the transcript lines around the hourglass and use the "split before" or "split after" commands to edit out the pause. Not clear what "split before" and "split after" does or how they are different and how they get rid of the pause. The "split before" and "split after" will split the designation into two designation either before or after the line you selected on in the transcript. To remove the pause you fine tune the beginning and end of the new designation removing the dead air.